Food is an important part of the holiday season. From work parties, to social gatherings and of course the all important Christmas dinner, food is everywhere once November 1st hits. So why not give the gift of good food to your friends and family. Here's this year's gift guide to inspire their stomachs! I am juice obsessed, yes I am. I truly believe I could live off a liquid diet and be happy. Plus, the benefits of cold-pressed juice are phenomenal. This is not something to loose weight with or a quick fix for anything, but a process that helps make your insides - and therefore your outsides - feel good. My top 3 places in Vancouver to purchase a cleanse from? Price ranges from $50 to $400. Food brings people together, and this cookbook is filled with recipes designed for gathering. From the same community that brings us Kinfolk Magazine, you know there is good information inside the covers. The Kinfolk Table is available online for $48. What's better than giving someone a bag of coffee? Having coffee delivered to their door once a month for a year. 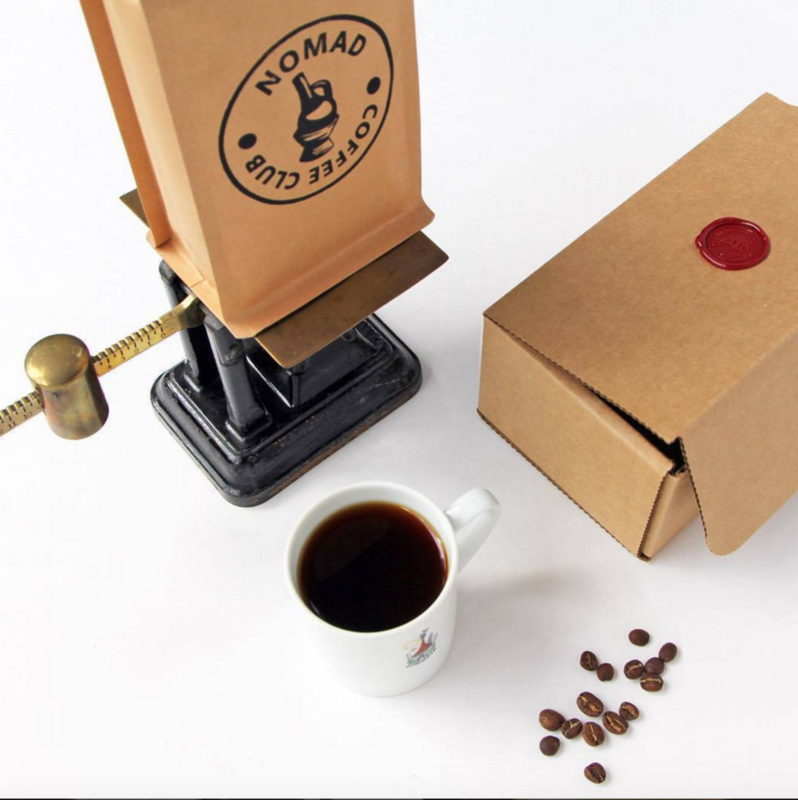 The guys over at Nomad are great and always source incredible roasters. Subscriptions start at $25 per month at nomadcofffeeclub.com. Speaking of regular deliveries, how about a wine club membership for the vino in your life? The Okanagan Wine Club has a variety of options for every price range. Plus this subscription means you are giving some of the best wines in the country! A wine club subscription ranges from $50 to $300 and can be purchased online. This Thanksgiving I hosted dinner for the first time, and about 85% of what I served was purchased at my local farmers market. Not only was there a noticeably quality difference in the food, it felt good serving my family food I could trust while helping support my local farmers. Do the same for your loved ones. Host a delicious meal only using what you can buy at your local winter market. It's a gift that gives to so much. What do you think of these five gifts to inspire the stomach? What other foods do you enjoy giving? Share in the comments below! Want to know what really makes this gift guide special? None of the items in it were sponsored or promoted by anyone! These are legit, unpaid opinions. diy anti-stress lotion - make it in under 5 minutes!